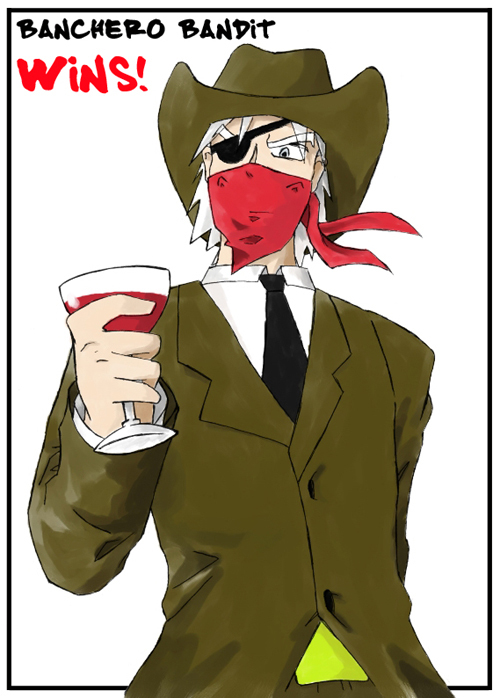 Banchero Bandit is a guy who likes to destroy stuff and kill people but he has done this too many times in his life that it begins to bore him, it was just too easy for him. One day when he just destroyed another town he was thinking about this but then an old man who survived the town's destruction yelled at Banchero Bandit to claim about his attitude; the old man told him about Void City too and dared him to go there. 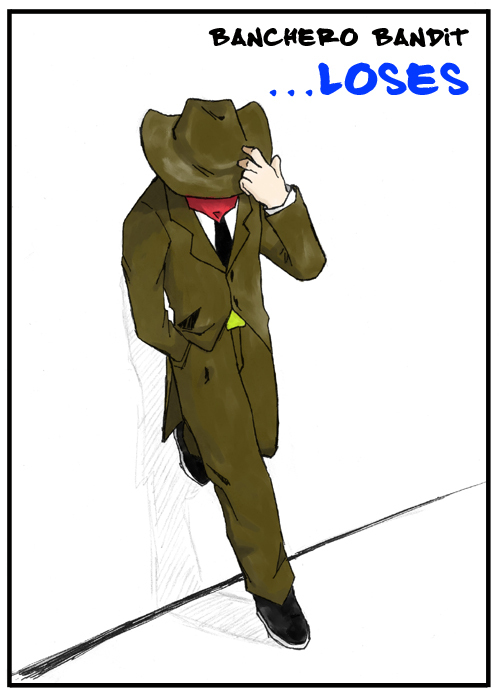 Banchero Bandit decided to make his little good action of the day with the old man and after that he headed to Void City. Maybe there he'll find the challenge he needs to have fun again. He's not a very serious guy, likes to laugh and make fun of people and stuff. Tacos are his favourite food in the whole world, he loves them! 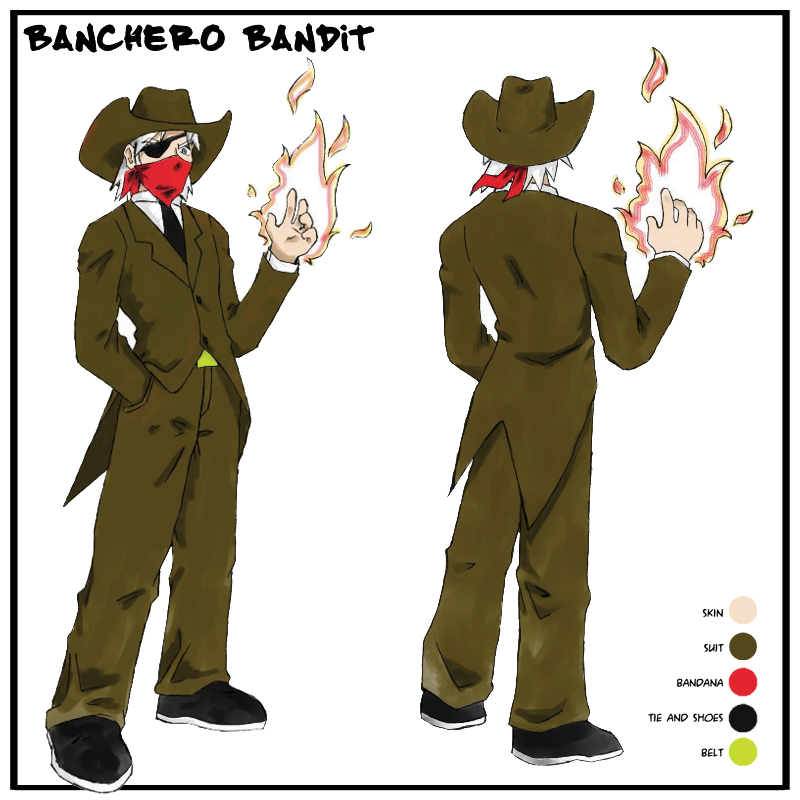 Banchero Bandit can set his hands on fire and shoot fire bullets from his fingers like if he was firing a gun. He can also use this fire power in any way he wants like punching with fire, grab his opponent and then burn their skin, etc.